Friday March 22 we will charter a small bus to the Ottawa Home and Garden Show. This year the guest speaker will be Carson Arthur. Price $75 includes bus and admission to show. Details to follow. New location for 2019. Fleming College, 599 Brealey Dr, Peterborough. Fri., April 26, 5 p.m. – 9 p.m., Saturday April 27, 10a.m. -5 p.m., and Sunday, April 28, 10 a.m. – 4 p.m. Admission $10.00 person, come and go all weekend with your wristband purchase and catch some of the great speakers listed below. ​​​​​Rideau Lakes will be hosting the spring AGM on Saturday April 27, 2019. If you wish to attend, please register with our club. 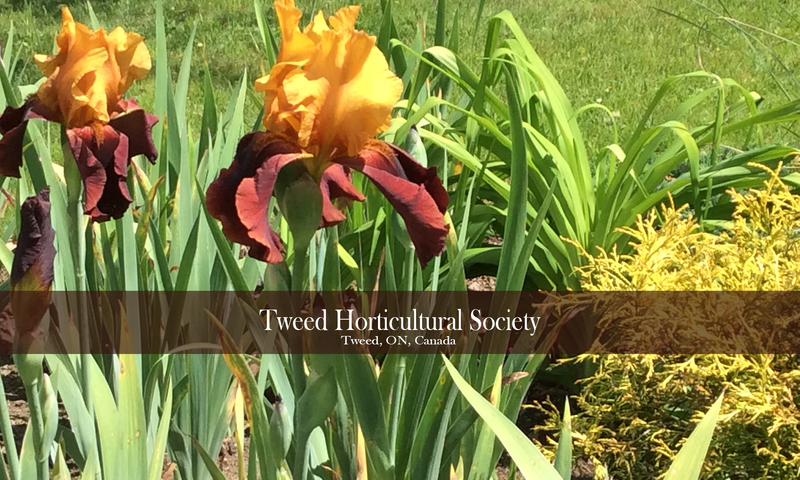 Saturday, May 18, 2019, at 8 am at the Tweed Memorial Park: Members are asked to pot up their plants by early May for best display. Please attach a label. If you have a large quantity of one variety of flowers, it would be nice if you can supply a colour photo wrapped in plastic to help sell the plant. All plant material should arrive by 7am. The proceeds of this event helps fund the planting of the town flower beds. Donations of plants and bulbs from friends and neighbours are also welcomed. Please call Joan at 613-478-6115 if you know someone who wishes to downsize their garden and would like to donate the plant material. In May 2019, Tweed and District Horticultural Society will be supporting local young people at Tweed Elementary School and St. Carthagh’s Separate School in learning about Painted Lady butterflies. The students will be provided with butterfly larvae which they will observe and care for, recording the details of metamorphosis from larvae to pupae to adult butterflies. While working with these pollinators, they will learn about their value to plants and their role in the web of life. Ultimately, in a beautiful celebration, the children will release the adult Painted Lady butterflies into the natural world where they can benefit our gardens. Our club will be hosting a Vegetable planting workshop for the children. This year’s featured vegetable will be “Potatoes”. All materials will be supplied by our club. Please pre-register at the Library. This meeting will be held Kingston. The date is to be announced at a later time.